Our client had acquired a property on a plot with lots of potential, just minutes from Wimbledon village centre and Common. Their vision was a modern and luxurious 5,000 sq. ft family home. The construction phase presented the site team with some challenges. The site is quite tight, surrounded by trees and straddling a mains sewer, but our combined experienced shone through to complete the shell swiftly and shift our focus to the finishes. To ensure the highest levels of finish, it was important to select not only the right materials, but also invest in specialist trades people. This resulted in such beautiful details as the French polished oak floors with matching doors throughout, and a secluded balcony featuring walk-on glass and a floating balustrade to make the most of the leafy views. 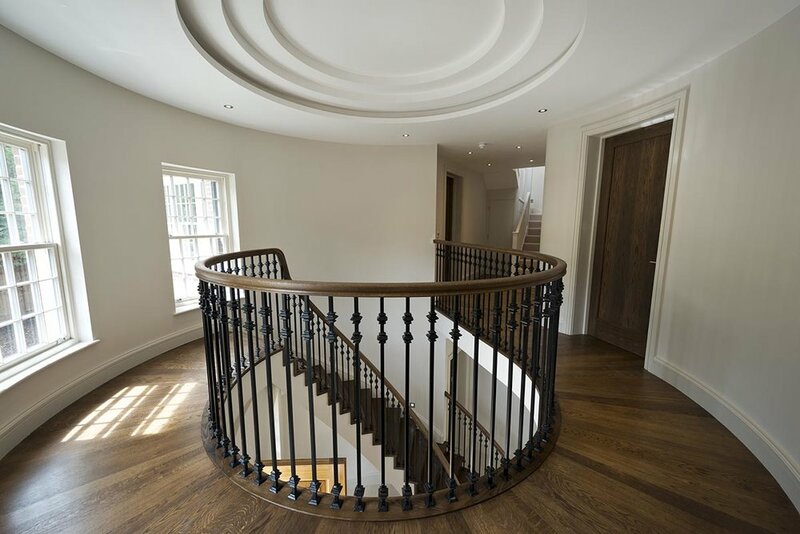 The central spiral staircase features a beautiful bespoke handrail, and a double-height circular space with feature ceiling and floor details. 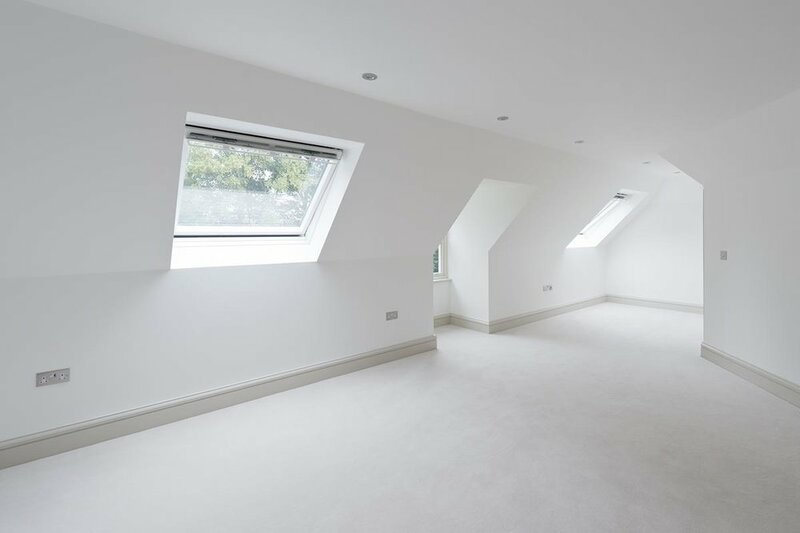 The top floor is currently set out as a guest room, office and bathroom, but has all the plumbing and wiring pre-installed should the need arise for a self-contained annexe. 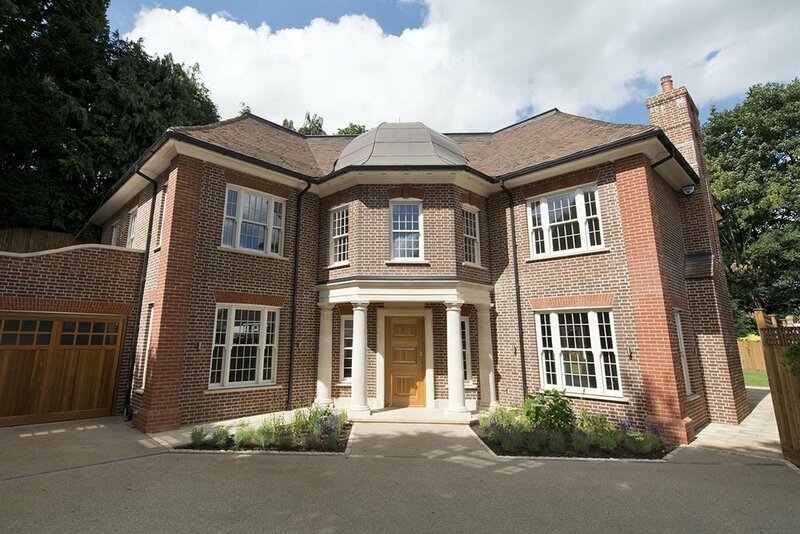 Completed to high specification by skilled experts, the property now has a market value of £5.5million.